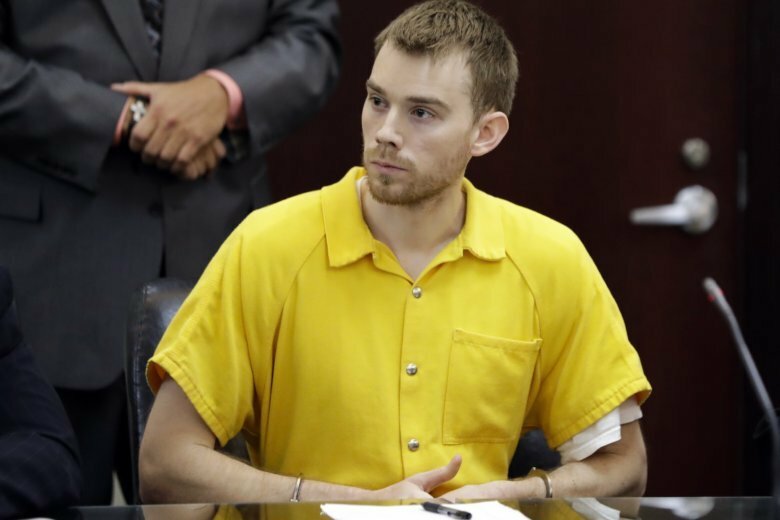 Police say 29-year-old Travis Reinking was nearly naked, only wearing a green jacket, when he opened fire outside the restaurant on April 22 and then stormed inside. Police have said there would have been far more casualties if it weren't for a quick-thinking restaurant patron who wrestled the AR-15 rifle away from the gunman. NASHVILLE, Tenn. (AP) — The man accused of killing four people in a Nashville Waffle House used to send his father text messages in which he punctuated everyday chitchat with delusional rants. Police say 29-year-old Travis Reinking was nearly naked, only wearing a green jacket, when he opened fire outside the restaurant on April 22 and then stormed inside. Police have said there would have been far more casualties if it weren’t for a quick-thinking restaurant patron who wrestled the AR-15 rifle away from the gunman. By the time of the shooting, Reinking’s erratic behavior had already come to the attention of law enforcement, including the Tazewell County Sheriff’s Office in Illinois, where he lived part-time. According to several incident reports, Reinking believed the singer Taylor Swift was stalking and harassing him, including hacking into his computer and phone. He believed the police and his family were part of the conspiracy, and his delusions went back to at least August 2014. The texts between father and son that were filed as evidence in federal court this week begin in April 2017, just a year before the shooting, as Reinking discussed making money by selling a patent. Friendly back-and-forth texts about work and dinner continued until May 21, 2017, when Reinking told his father he was going to start keeping his phone off most of the time and would go to the library when he wanted to use the internet. In July 2017, Reinking was arrested by the U.S. Secret Service at the White House, where officials say he was seeking an audience with President Trump, but he was soon released. No texts refer to the arrest. A week later, he sent a text about insurance for a truck. Jeffrey Reinking had stored his son’s rifles and handgun in his gun safe after state police revoked Travis Reinking’s Illinois firearms owner identification. The official reason for the revocation was that he was a non-resident, although officials have said the action came at the request of federal agents after the White House arrest. At least three separate lawsuits by family members of the victims fault Jeffrey Reinking for negligence because he returned the guns to his son. Jeffrey Reinking’s attorney said in a deposition filed on Monday that a criminal investigation of the matter is ongoing. But the document also says Reinking did not believe he had the authority to keep his son’s guns once Travis Reinking demanded them back. The last texts between father and son came on Nov. 19, 2017, when Jeffrey Reinking invited his son to come over for breakfast after church. After that, Travis Reinking left town and his father did not know for certain where he was until he heard about the April shooting, Jeffrey Reinking said in the deposition. After the attack, Travis Reinking was ordered to receive treatment in a mental facility for schizophrenia. By October, prosecutors said mental health officials had concluded Reinking was competent to face charges in court.